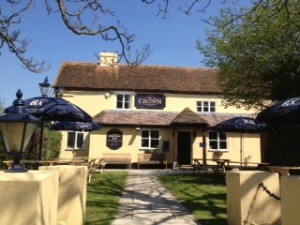 A warm welcome awaits you at the The Crown in South Moreton. 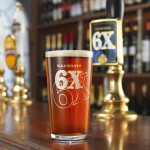 Nestled in a picturesque Oxfordshire village it offers a family friendly pub with home cooked food and Real Ales. Ample parking is available and there are many walks and attractions in the area such as the Ridgeway national trail or Didcot Railway Museum. Regular events are held including pub quizzes, singers, bands and parties so if your looking for some great entertainment check our events page for more details. The Crown offers a wide selection of beers, ciders, lagers, wines and spirits with a great choice of real ales from the independent Wadworth’s Brewery in nearby Wiltshire. Our friendly, old fashioned bar hasn’t been spoilt by tacky wallpaper or cheap leather chairs, it is traditional and cosy with a cheery welcome for both locals and visitors alike. We’ve put our heart and soul into sourcing quality British ingredients from farmers we trust and our chef always has some tasty specials for you to try. 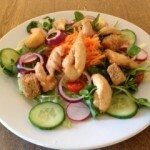 So if you’re looking for more than a plate of the usual, take a look at our food menu. We think you’ll find plenty to tempt you.